Originally called San José, it existed as a sleepy Mexican village until the 1880s when a company started mining coal here. Chas. 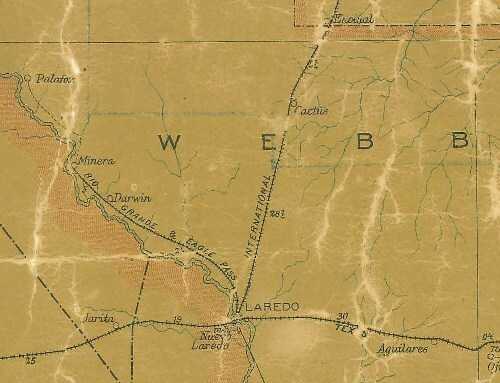 Wright, as president of the Cannal Coal Company, built a railroad (The Rio Grande and Eagle Pass) to haul the coal to market. 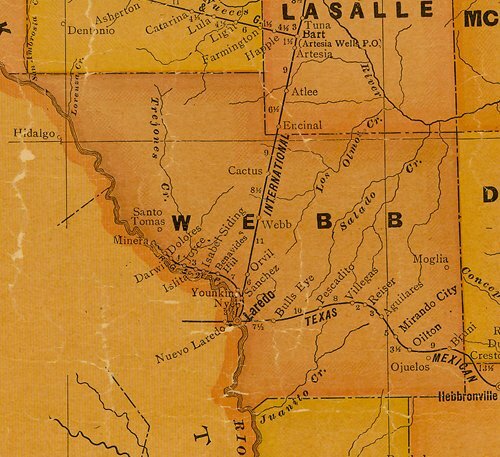 The namesake for the renamed town was Wright’s daughter. 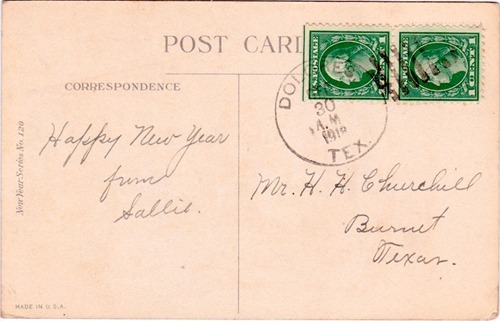 A post office was granted in 1913 and a headcount of residents the following years was said to number 1,000. The coal deposits played out in the early 1920s and by 1939 they had ceased operation. There were still enough residents to require a school and in the mid 1930s the population was given as 20 where it remained for decades. The post office closed in 1930. Today only two cemeteries and a few lonely houses remain.